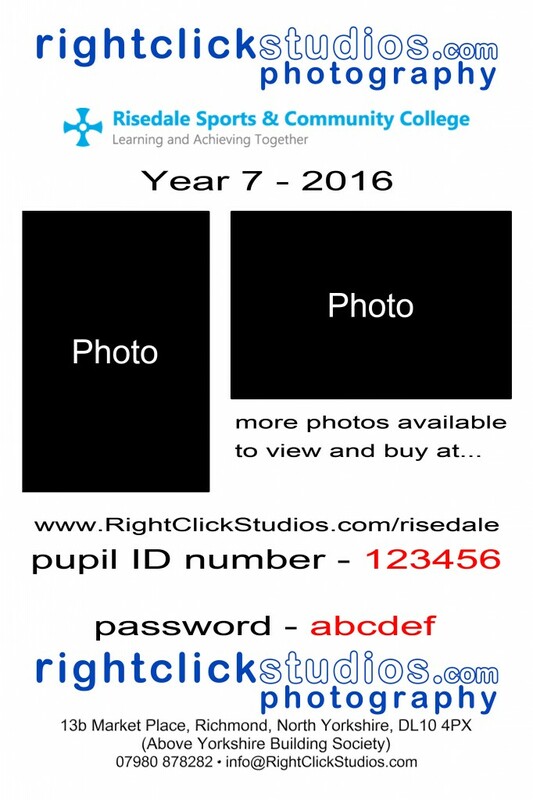 To view and buy your photos from the Risedale Sports & Community College 2016 Year 7 (plus 2016 Prefects & Student Council) Photo Shoot, visit the Risedale gallery in our online shop and find the album that matches your “pupil ID number”. Click this album and then type your password in to the password box. (Your ”pupil ID number” & password can be found, in red, on the proof sheet you have been given by the school). Previous Risedale Sports & Community College Galleries can be reached by following the link at the bottom of this page. Click here to visit the Risedale 2016 gallery. This entry was posted on Monday, October 10th, 2016 at 11:45 am. It is filed under featured post, for post slider, for thumbnail slider, News, Portraits, Studio and tagged with commercial, headshots, kids, location, portraits, richmond, school, studio. You can follow any responses to this entry through the RSS 2.0 feed.